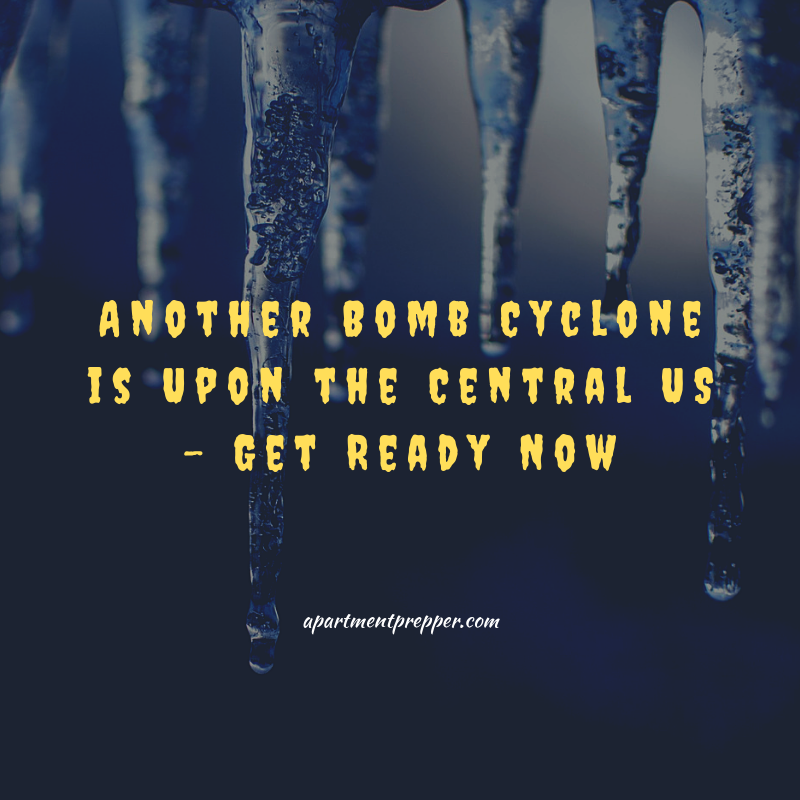 It’s already April and most people are expecting spring weather, but another bomb cyclone, also known as “bombogenesis” is expected tomorrow in the Central U.S. It could impact around 200 million people in its path. You can buy window films online or at home improvement stores. In a pinch, you can try using clear plastic wrap- just stick it around your windows to keep the draft out. Some people use plastic trash bags to line the cracks and the windows. Use painters tape or duct tape to attach bubble wrap to windows and add extra insulation. This works because there’s trapped air between the bubble wrap and the window. If the window is leaking around the frame, this will not work and the window would need caulking instead. If you are planning to do a project like this, please research the various options carefully. I am not an expert in insulation or window reinforcements, so your results may vary. You may find something else that works better in your situation. The window films worked best for us. Many readers report good results for using the Mr. Heater. Make sure your area is well-ventilated. There have been many deaths resulting from carbon monoxide poisonings. Never turn on the stove or oven for heat. See these tips for home heater safety. Hi Old Guy! Good to see you back! Hope all is well. That is smart to keep emergency gear in the trunk of your car esp since you travel across 4 states. Thanks for the comment.